Below are some discussion questions relating to a recent sermon. These are provided so that your Life Group can discuss what was shared. Previous Weeks’ Discussion Guides and Sermon Notes are available through the Sermons under the Resources menu. Click on the sermon series and then the sermon you are interested in. You will see a paper icon under the sermon title. 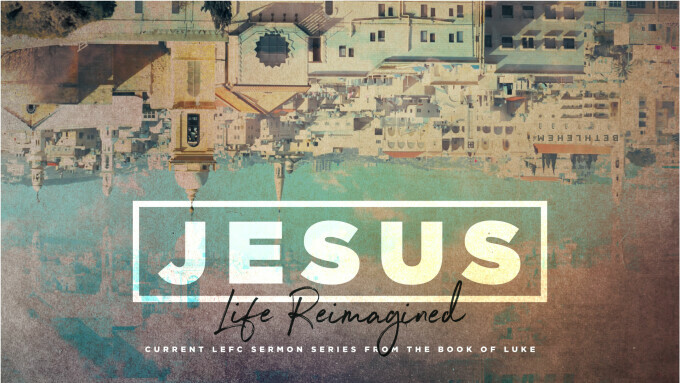 Click the icon to open the sermon notes. To listen to the sermon, click on the speaker icon. The uniqueness of the many fulfilled prophecies of the birth of Christ is unprecedented in human history. How does this fact increase your faith and build confidence, giving you amazing freedom to share with others? The miracle of the virgin birth is both divine and miraculous. How does the preexistence of Christ make his actual birth both unnecessary and even more divine? What difference does the birth of Christ make for everyone? Why do we all need a remedy? Why is there no remedy for the enemy? How can a better understanding of the prophecies fulfilled in Jesus help us in our spiritual conversations with our Oikos? To imagine that we have received the same Grace that was afforded Mary in being chosen to be the mother of Jesus, puts our relationship with God in proper perspective. How does this reminder of an amazing truth impact you today? When God allows change to come into our lives, how do we respond? Especially when we don’t understand what God is doing? How does Mary’s response challenge us? How was she able to respond in humility and obedience? How do you hear from God? What does he speak to you about? How do you test the spirit to be sure the word is from God? What is the message Mary heard from Gabriel and why is it so important? Our Oikos is a place where people observe how we respond to the challenges life brings us. What specific characteristics of Mary’s response to Gabriel can we remember to use in our conversations with our Oikos?